In previous issues of Raspberry Pi Geek, we mentioned two new official Raspberry Pi add-ons that were going to be released soon – a case and a WiFi dongle. They have both taken a little longer than expected to get to the market, but they are now available for purchase. The WiFi dongle is a small unit based around the same BCM43143 chipset that is found in the triangular WiFi dongle and USB hub released by Broadcom at the end of last year. It is no surprise that the Raspberry Pi Foundation is using a Broadcom chip, as a lot of employees used to work for Broadcom and are familiar their product lines (the processor at the heart of the Raspberry Pi is also made by Broadcom). It is not the smallest dongle available – at 30x16x8mm including USB plug – but that means that they have likely opted for a larger antenna, which should mean very good signal quality when compared with typical "nano dongles." It is a 802.11b/g/n-capable dongle with a max throughput of 150Mbps. 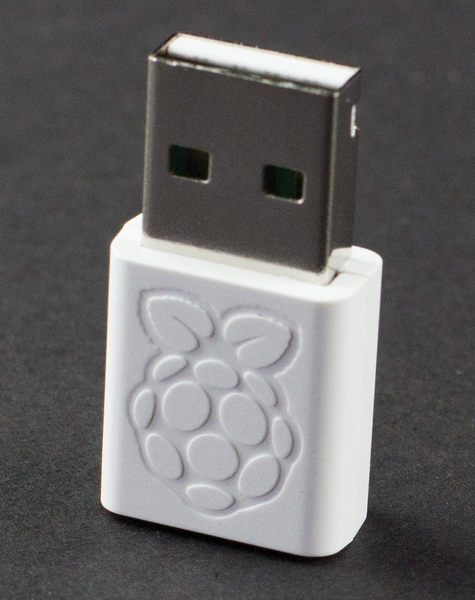 The Raspberry Pi Foundation says that, in their tests, "this dongle has performed significantly better than many others on the market," and it is apparently used by their staff – so it must be pretty good! The dongle is £6 and currently seems to be available for sale only at the Swag Store (http://swag.raspberrypi.org/) and through Pimoroni (http://shop.pimoroni.com/) or Pi Supply (https://www.pi-supply.com), but it will likely become available from other retailers soon. The official case is a well-thought-out and elegant red-and-white covering for your Raspberry Pi. It features a snap-together design so no tools are needed to put it together, and you can easily remove panels to get access to the GPIO, camera, and display connectors. The case also features light pipes, meaning that you can still see the activity LEDs even when it is fully enclosed. The microSD slot is also accessible without removing the Raspberry Pi from its case. 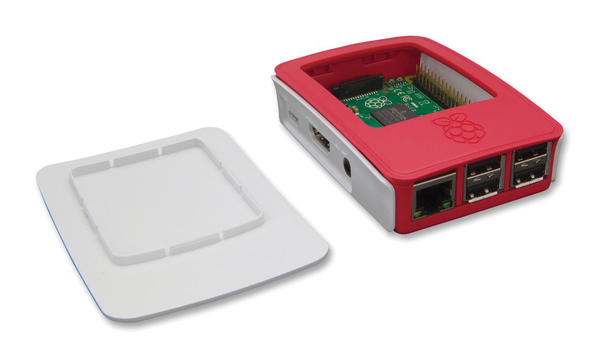 It has the build quality you would expect from the Raspberry Pi Foundation (https://www.raspberrypi.org/raspberry-pi-official-case/) and features the Raspberry Pi logo on both the white and red top covers. At £6/$10, it is already available to buy from the official Swag Store (http://swag.raspberrypi.org/) as well as other vendors. The BBC Micro Bit (a working title apparently) was announced as part of the UK-based broadcasting corporation's Make it Digital initiative to "help transform a new generation from passive consumers of technology to creators and innovators in the digital world." That's a pretty ambitious aim, but they are partnering with several technology companies and educational providers to develop the project and ultimately deliver around 1 million of the devices, completely free of charge – one each to every year 7 student (ages 11 to 12) in the United Kingdom. The BBC does have experience with this kind of thing, as the BBC Micro from the 1980s was released with similar aims and was wildly successful – so much so that the Raspberry Pi pays homage to it in its Model A and Model B naming scheme. The prototype Micro Bit (pictured) features an Atmel ATmega32U4 processor, two buttons, a 5x5 LED matrix and two other LED eyes for a total of 27 individually addressable LEDs, a micro-USB connector, large input/output connectors for use with crocodile clips or conductive thread, and a coin cell battery holder on the reverse to provide power. However, according to information from a number of sources, including the BBC and its partners ARM, Freescale Semiconductor, and Nordic Semiconductor, it is clear now that the final version will be based around some more capable ARM Cortex-M0-based processors and will likely be programmable both over the air using Bluetooth Low Energy (BLE) as well as over a USB connection using the ARM mbed platform (https://mbed.org/). It is going to be an open source device – how much information they will release about it is not known at this point. It is not even certain whether the device will go on general sale in addition to the free versions. However, it would seem very strange if they did not, as the device is almost guaranteed to sell well. Additionally, getting these devices into the hands of enthusiastic community members, makers, and professionals can only accelerate the development pace just as it has done with the Raspberry Pi. 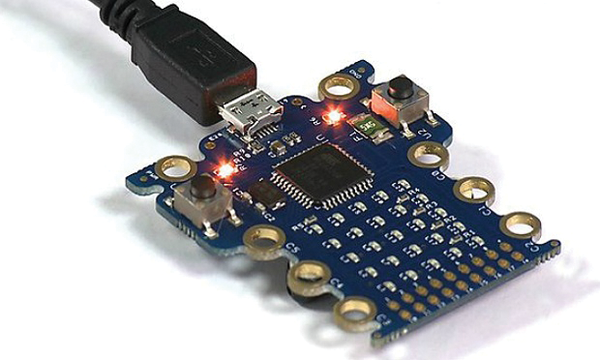 Read more at http://www.bbc.co.uk/mediacentre/mediapacks/makeitdigital/micro-bit.